Ron Rosen - “The 15 X 3 point and figure chart shows us that there have been three major selloffs since the year 1980. Each bullish breakout from the selloff has returned to and successfully tested the breakout line. The middle breakout line was tested twice. Once the tests were complete a huge bull move began. The current breakout, like the previous two breakouts, is being tested. It would be most unusual if the breakout line was not tested. 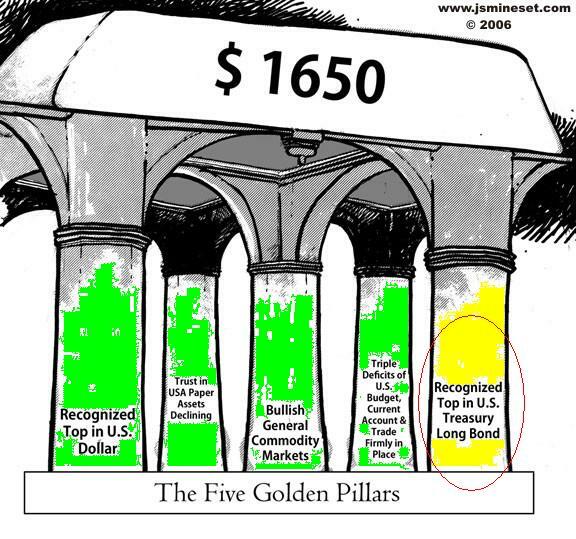 When the test is complete, we will most likely see the biggest move of this entire gold bull market.